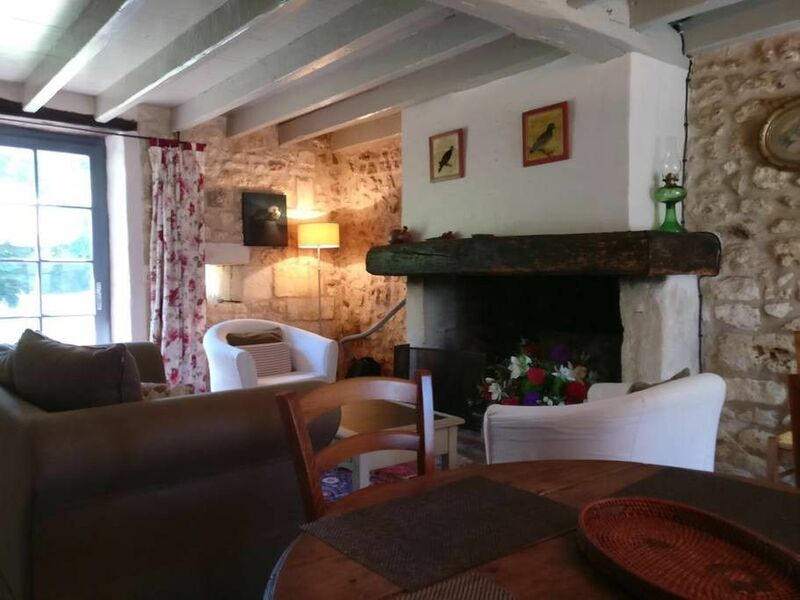 The Rosier is a charming 2 bedroom gite on two levels facing north in a 17th century stone building. On the main level, the Rosier has a country feel, with a full kitchen, including dishwasher. There is a large fireplace in a room filled with cozy, country style furnishings. The upper level has two bedrooms, one with a queen-160 cm bed and the other with two twin-90 cm beds, all with crisp white sheets and comforters. The private, walled garden has seating for four and a barbecue. We have fully renovated the private garden space behind this gite, with a gate to provide a safer space for children or pets. Very cute little gite and well appointed. The big plusses were..........the communal pool, private garden, good quality bed linen and towels. Not so good..........no safe for holding valuables/passports and the doors to the property were not as secure as I would have liked, no parasols at the pool or in the private garden. Un gîte très agréable et parfaitement équipé pour un séjour de grande qualité. Un très joli domaine, très agréable, au calme malgré la proximité de la rocade. Parfait pour se relaxer.